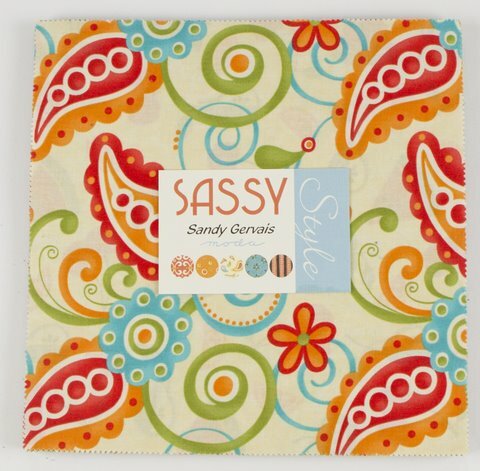 I have just received delivery of Sandy Gervais new collection called Sassy in my little shop. It is not due for release until early 2012. A bright, happy collection of Sandy’s signature colours of orange, coral, cream, black, turquoise and olive green. I have only 8 Layer Cakes to tempt you at the bargain price of $AUS 32.50 ( Yes, a slight price rise ). 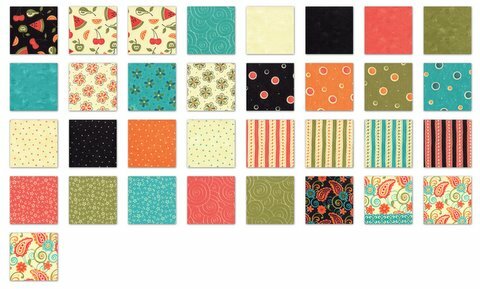 Stay tuned because I will be getting pre-cuts of the new 2012 collections from Kate Spain (Good Fortune) , Sweetwater (Reunion), French General (Rouenneries Deux) and Me and my Sister (Twirl). Wow you have contacts in the right places – these aren't even available on the site to order.